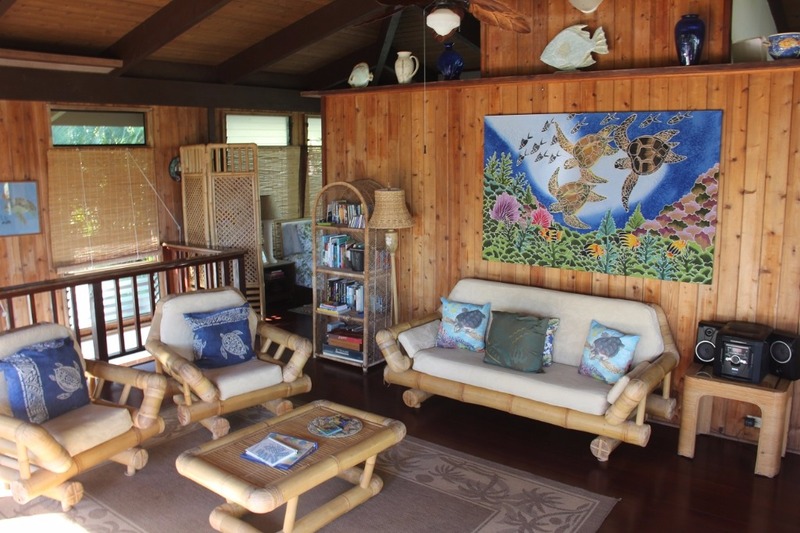 he Pualani Tropical Kapoho Beach home, located in the gated community of Kapoho Beach Lots, features open-beamed ceilings and panoramic tropical and some ocean views. 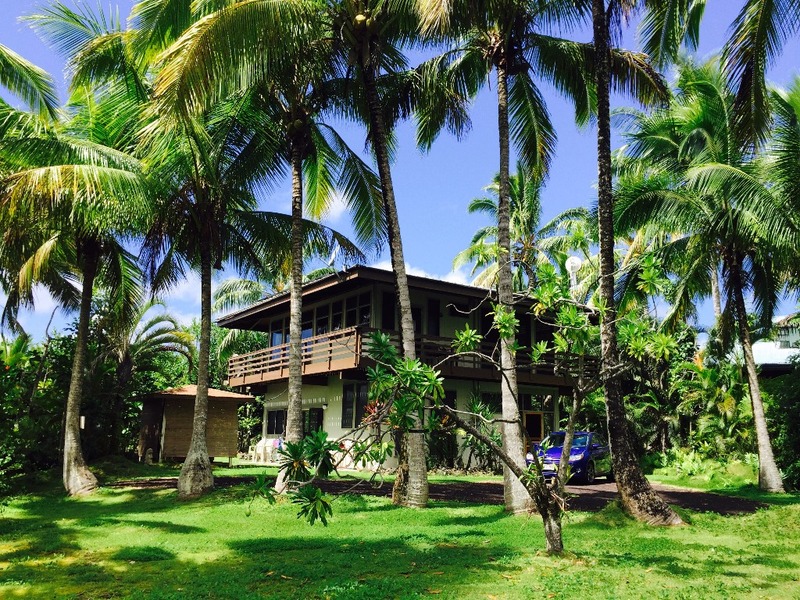 The home is located across the street from Kapoho Bay and you can hear the waves roll across the reef...the most soothing beautiful sounds! A wrap around the house lanai enables you to enjoy the views from many angles. 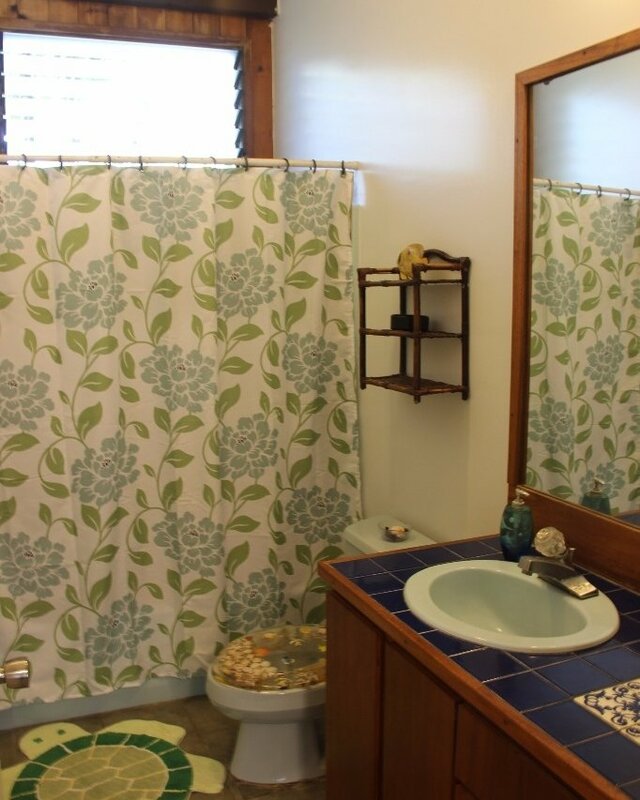 Come enjoy the solar energy home and the BRAND NEW HOT TUB (April 2014).There's a full kitchen, generous living and dining area opening onto the lanai, a queen-bed bedroom and bath. 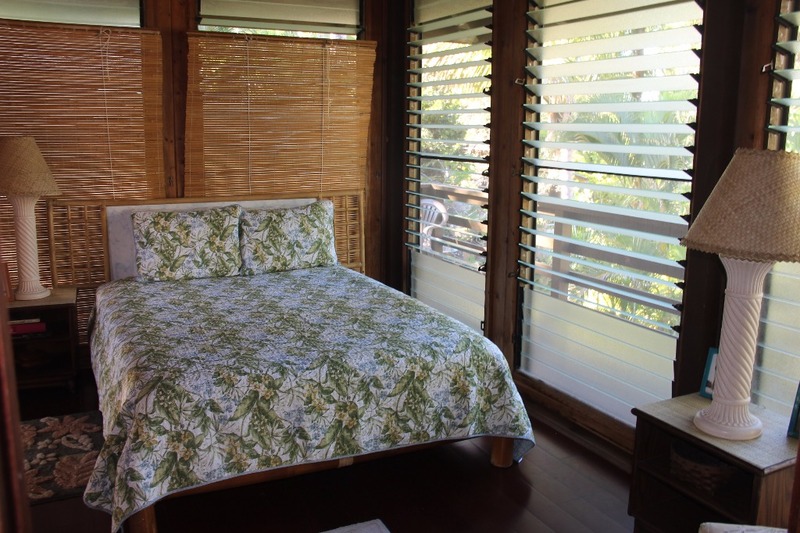 For extra guests, the second bedroom downstairs has two double beds. And for your evenings, there's a Satellite flat screenTV/DVD, an assortment of videos and CDs, and for those who would rather curl up with a book, there are lots to choose from. 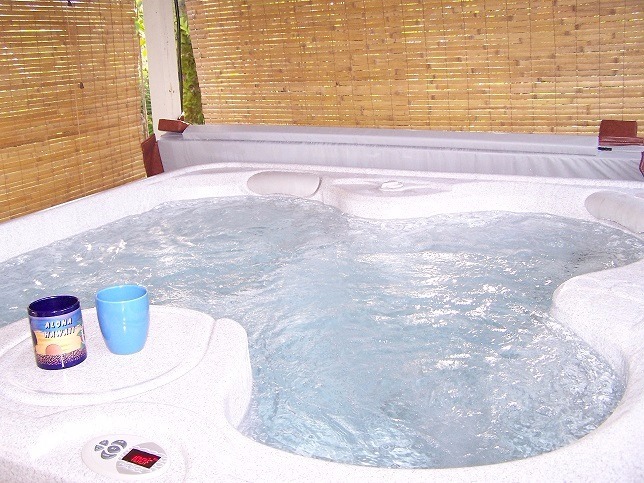 Outside in a gazebo near the house is a full-featured spa for your relaxation and enjoyment! 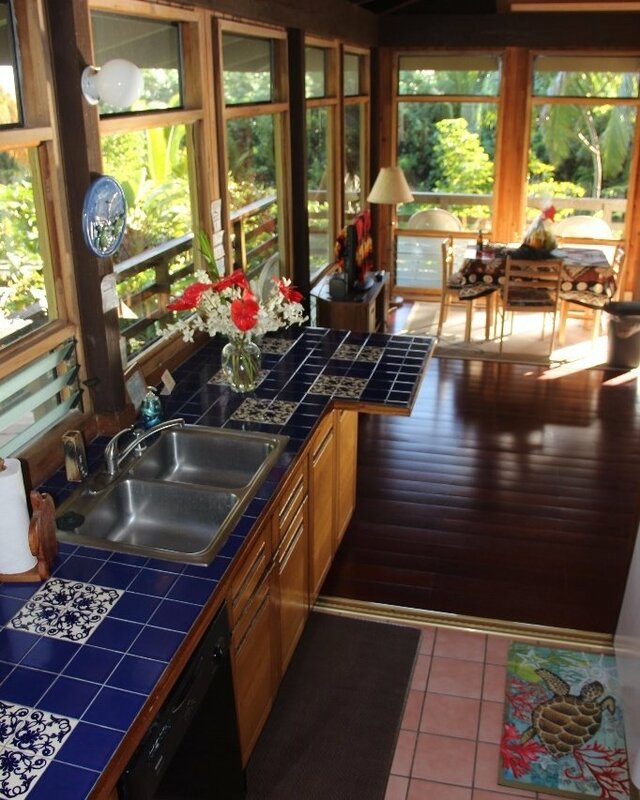 The kitchen is fully equipped with a microwave, blender, coffee maker, range, fridge and all cooking and dining needs. 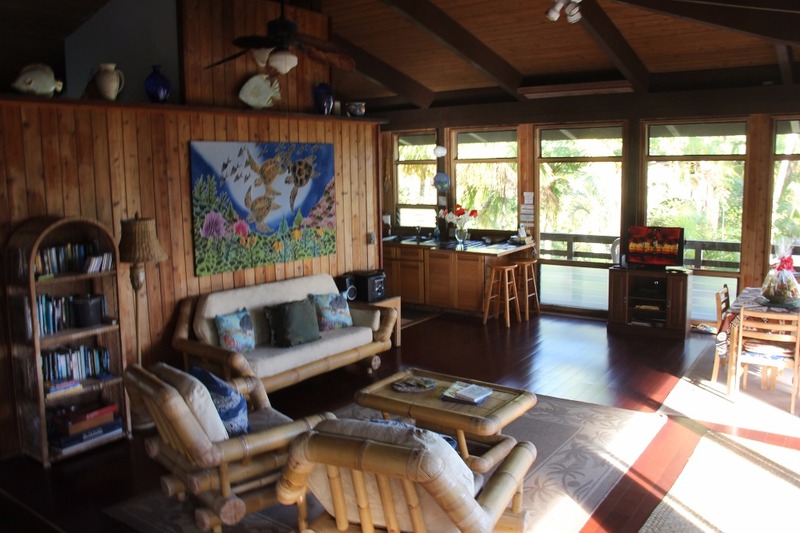 This home is thoughtfully and tastefully appointed to make it feel like your very own home-in-Paradise. 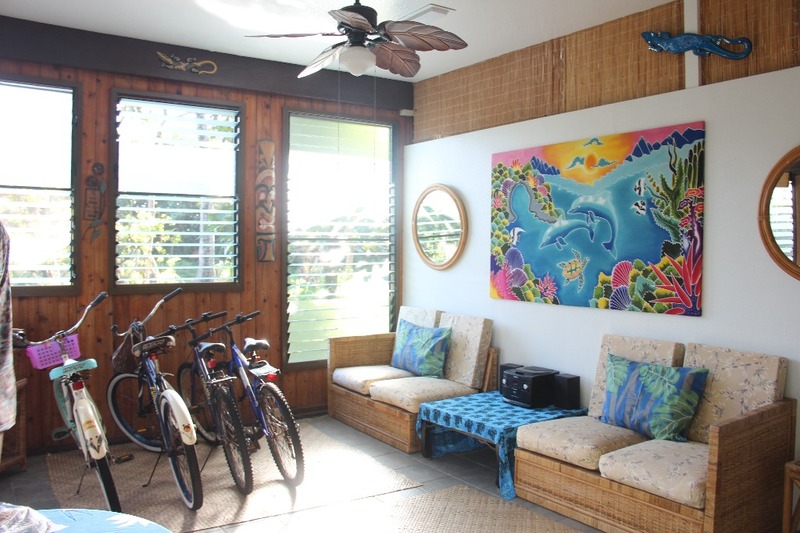 Ride bicycles (no extra fees for bikes like some rentals) to the nearby tidepools and lagoons for wonderful snorkeling and swimming. 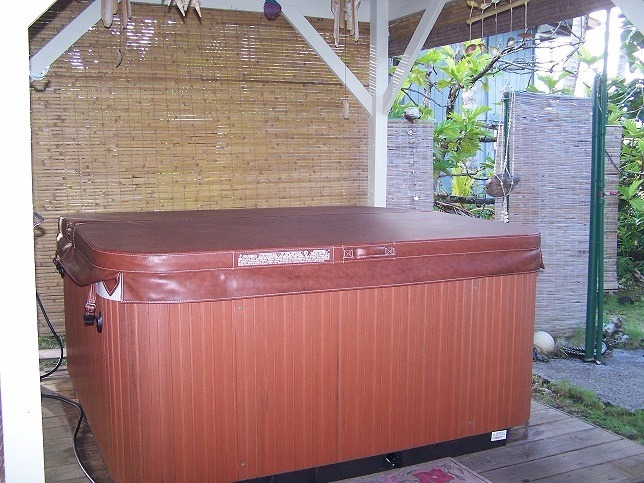 Hot tub, outdoor shower, and hi-speed internet! 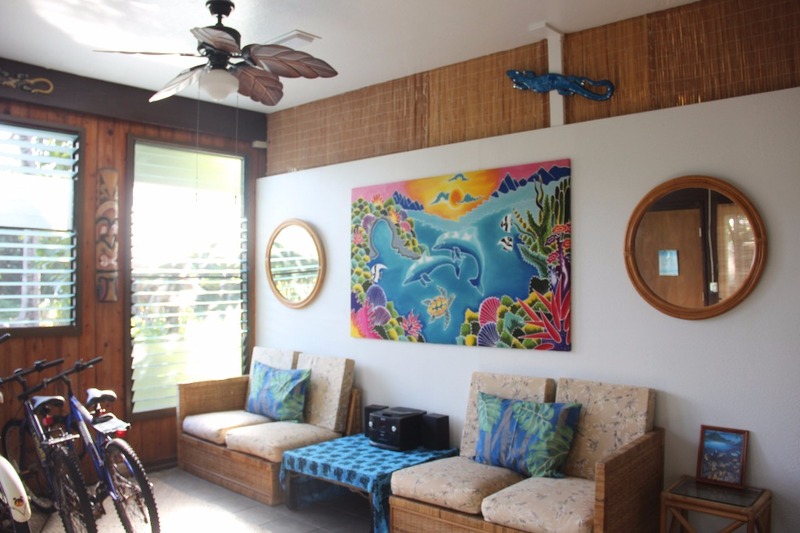 Location: Located in a quiet, oceanfront, gated community with easy accessibility to Kapoho Bay and the ocean itself, there are several calm lagoons for swimming and snorkeling. Some of the lagoons are even heated by geothermal fresh-water springs! A guide map at the house will direct you to all the best spots. 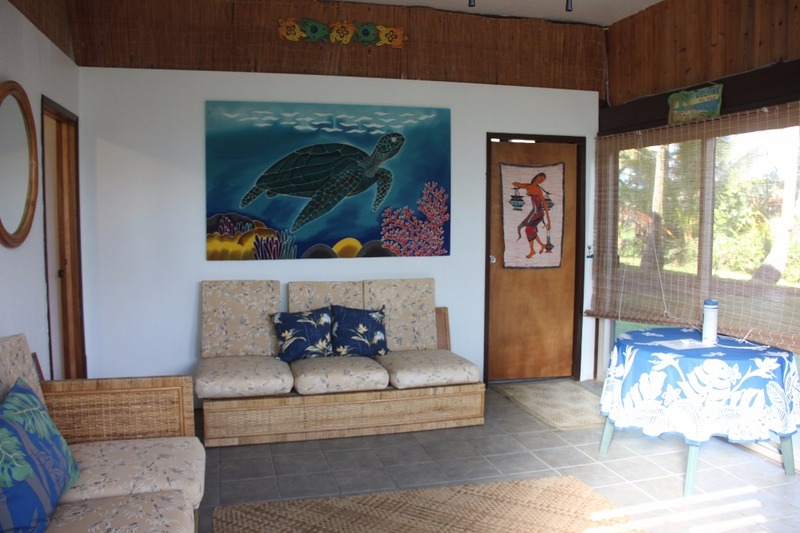 Champagne Pond is a 10-15 minute walk from the home or 5 minutes by bicycle, and this home is perfectly located to walk to the Wai'opae Marine Sanctuary for even more swimming and snorkeling experiences. Volcano National Park is about a 45 minute drive. 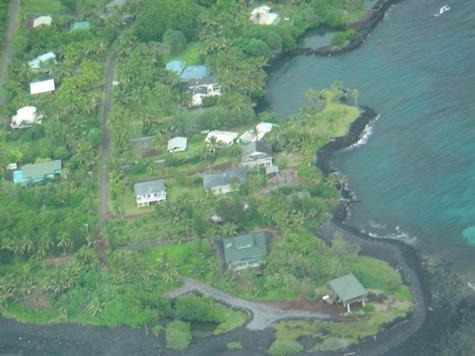 The newly forming black sand beach in Kalapana is about a 20 minute drive down the 'Red Road,' Hiway 137. 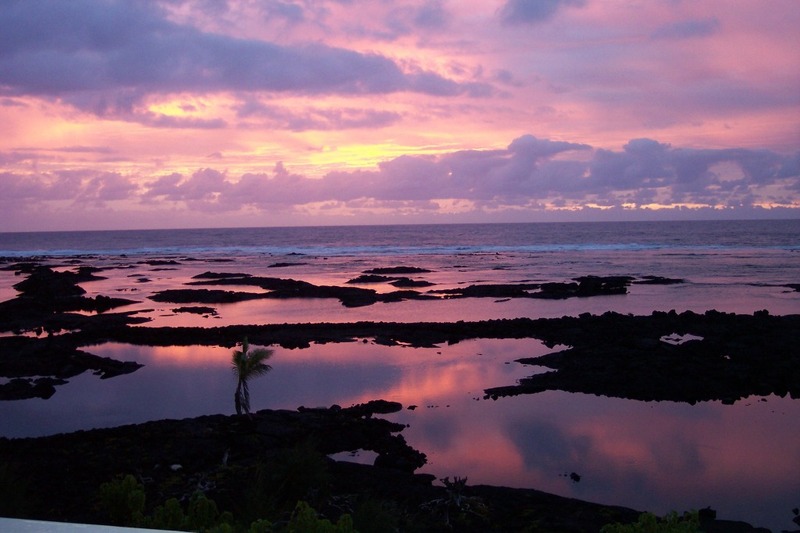 Lava has recently been flowing into the ocean here and you can hike to see it. 'Uncle Robert's' farmer's market is a wonderful way to spend a Wednesday evening. With wonderful Hawaiian musicians, local food vendors, arts & crafts, this event is better than a Luau. Put this on your 'to do' list! 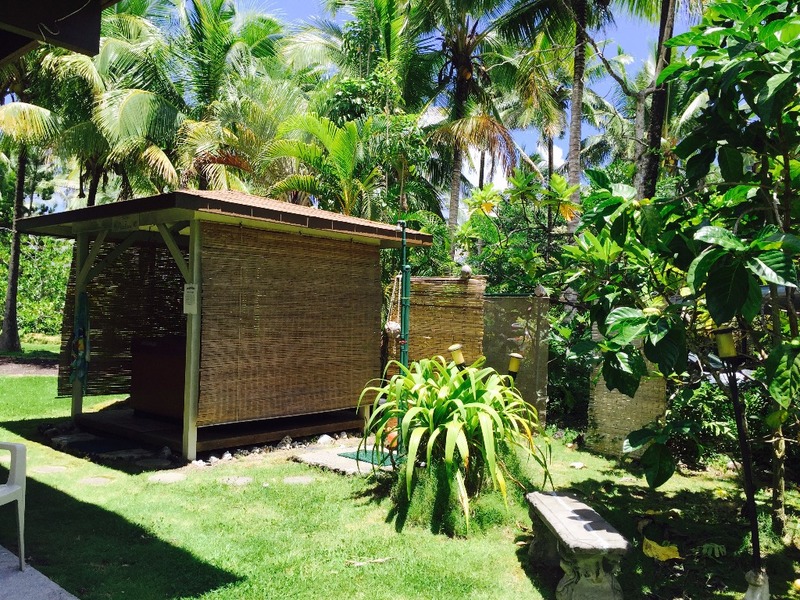 This tropical hideaway is a perfect retreat from the hustle and bustle of other tourist locations. 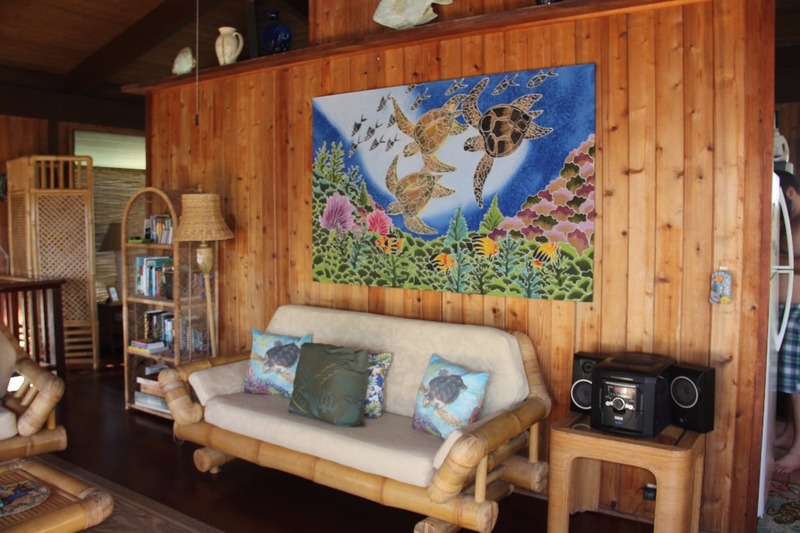 The trade winds keep the home comfortable year round, and the sound of the ocean across the street with the waves rolling across the reef is very pleasing to the senses! 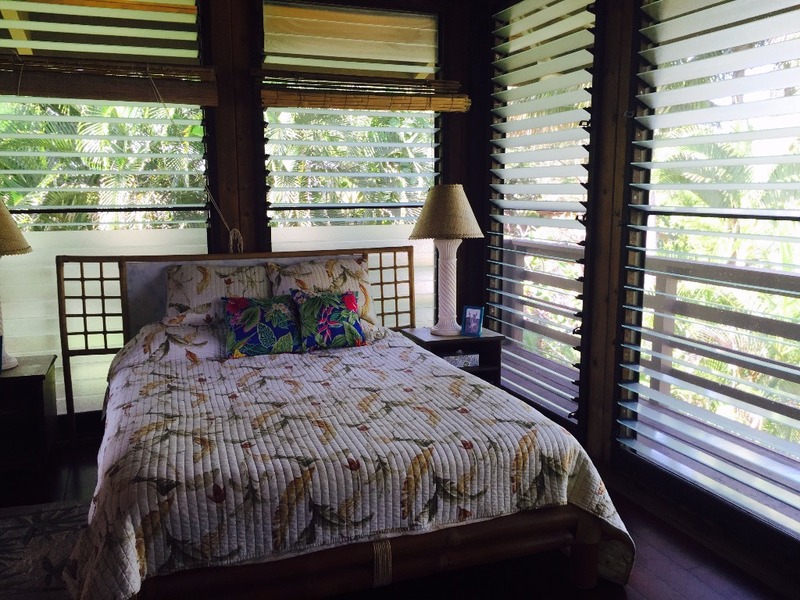 You feel like you are in your own tropical tree house with panoramic ocean and tropical views. 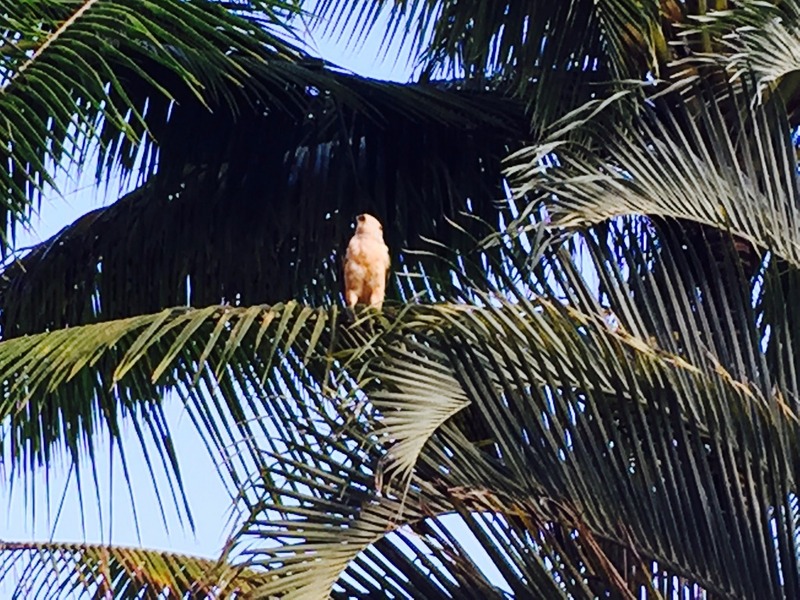 I have many happy guests, and some who love to return year after year! 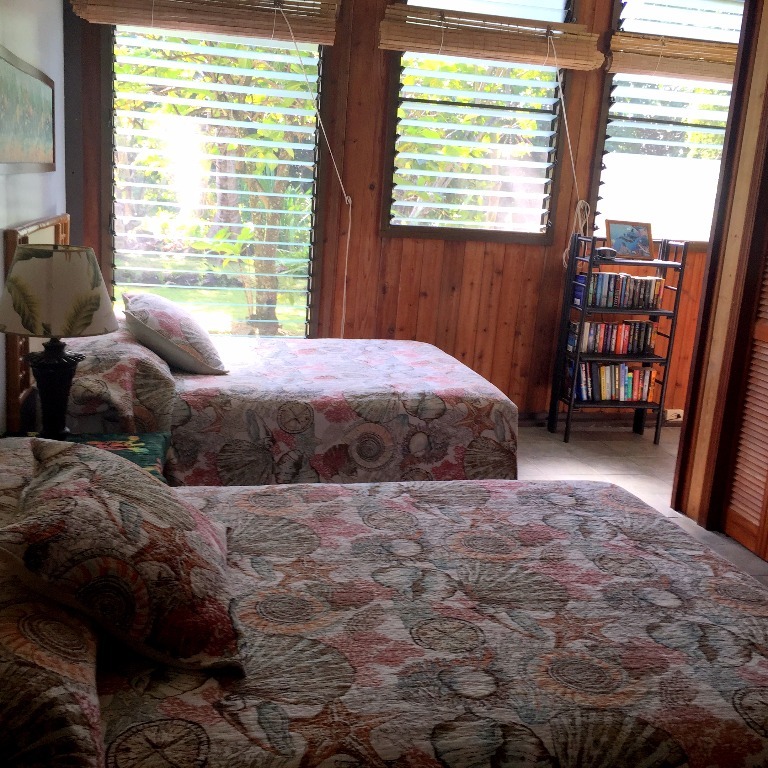 Amenities:: Champagne pond is 10-15 minute walk, full feature Spa in gazebo in yard, Satellite Flat screen TV, completely furnished for your comfort! 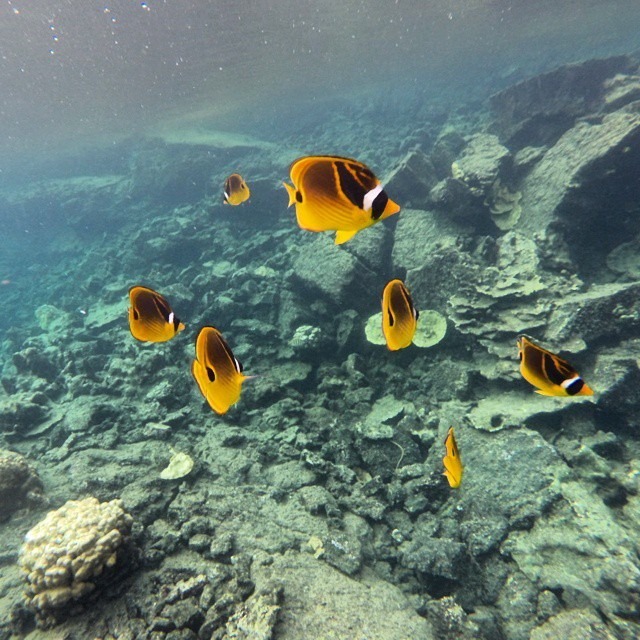 The Wai'opae Marine Sanctuary is about 5-10 minutes south of the property by foot or bicycle. 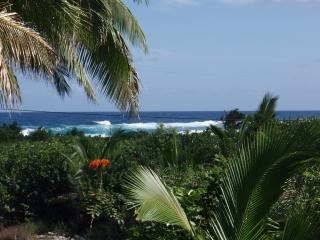 Just 40 minutes to Volcano National Park, and 1/2 hour to view the volcano flow (Kalapana) in to the ocean! 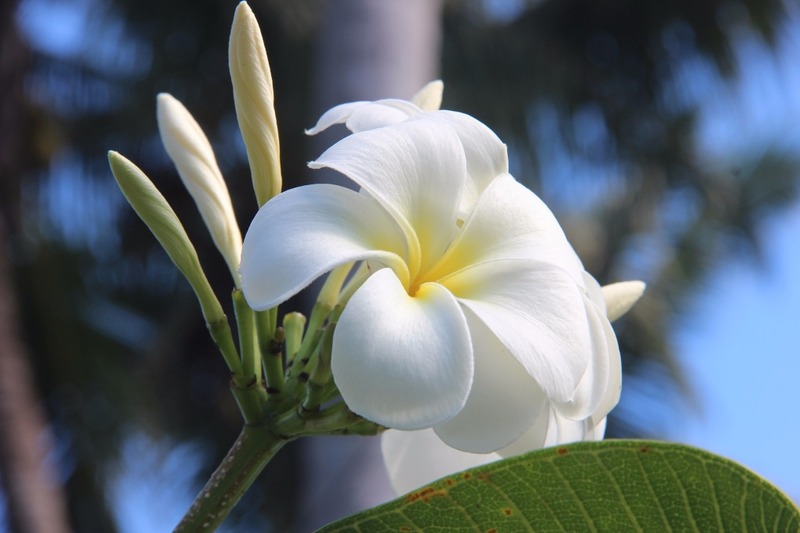 Be sure to check out the Makuu Farmer's Market on Sundays, and Hilo Farmer's Market on Wednesdays and Saturdays. 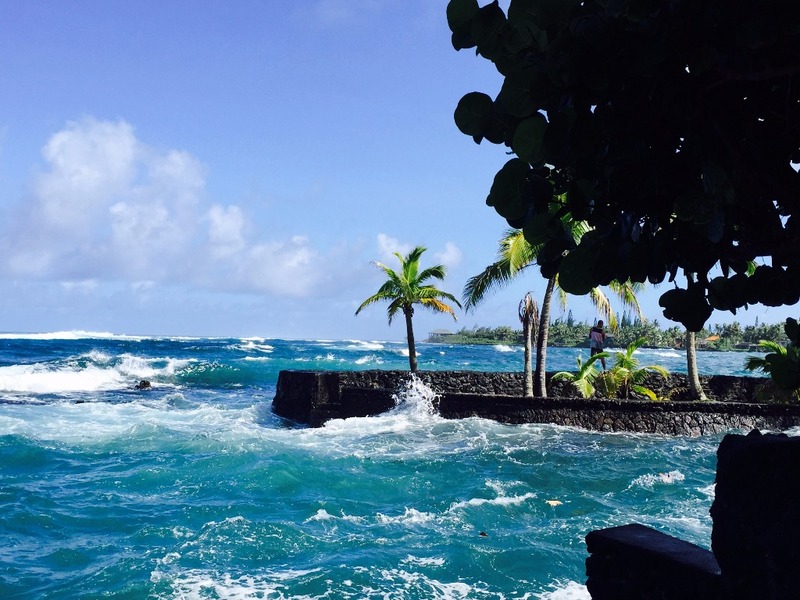 Lava viewing boat tours, helicopter tours at Hilo airport, botanical gardens, zoo, great little restaurants in Pahoa - Ning's Thai Food, Kaleos, Luquin's Mexican Food, Boogie Woogie Pizza, Paoulo's Italian food, Pele's Kitchen, and more! 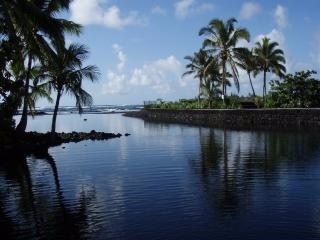 We love 'The Ponds' in Hilo too! 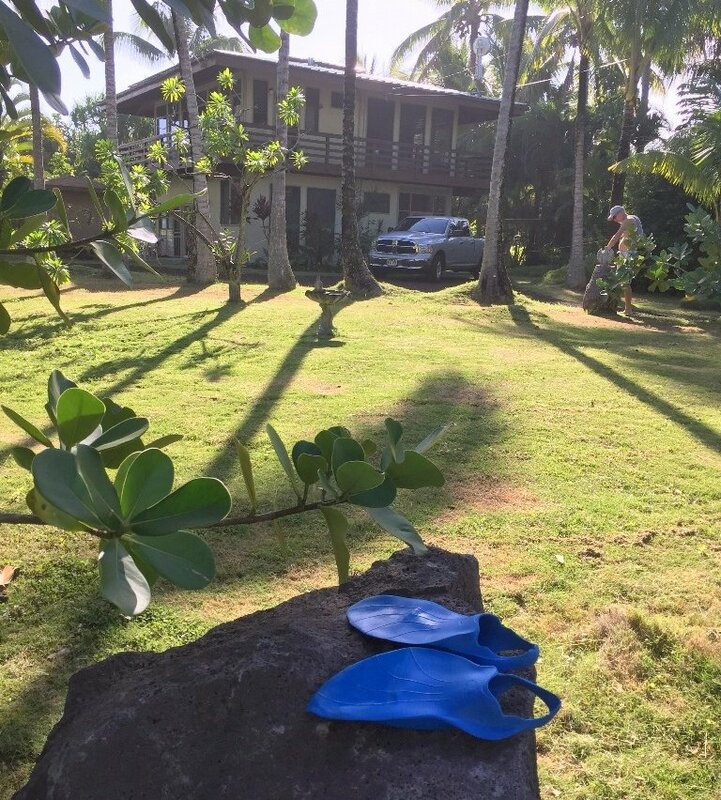 Activities:: Hiking, snorkeling, kayaking, swimming, bike riding, volcano site-seeing, Olympic size swimming pool in Pahoa, several fine restaurants in Pahoa (8 mi. 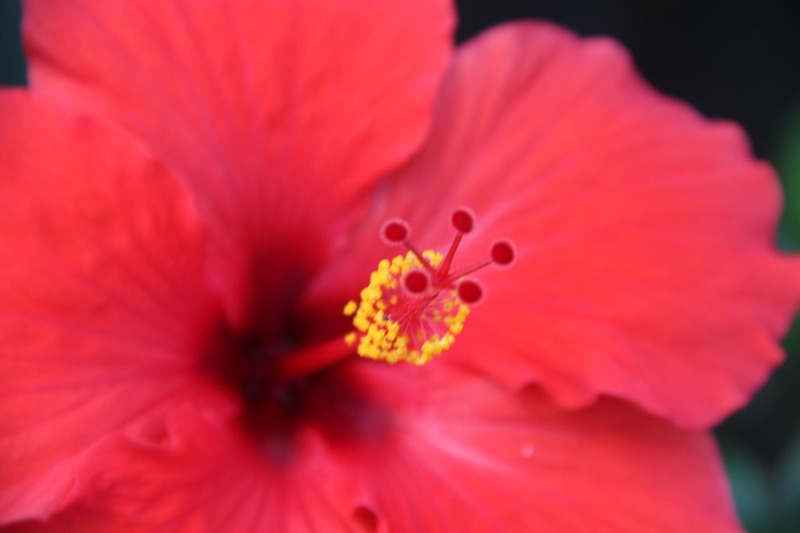 ), hot ponds, lava viewing tours from Pohoiki, helicopter tours from Hilo airport, farmers markets in Makuu & Hilo, botanical gardens & more! 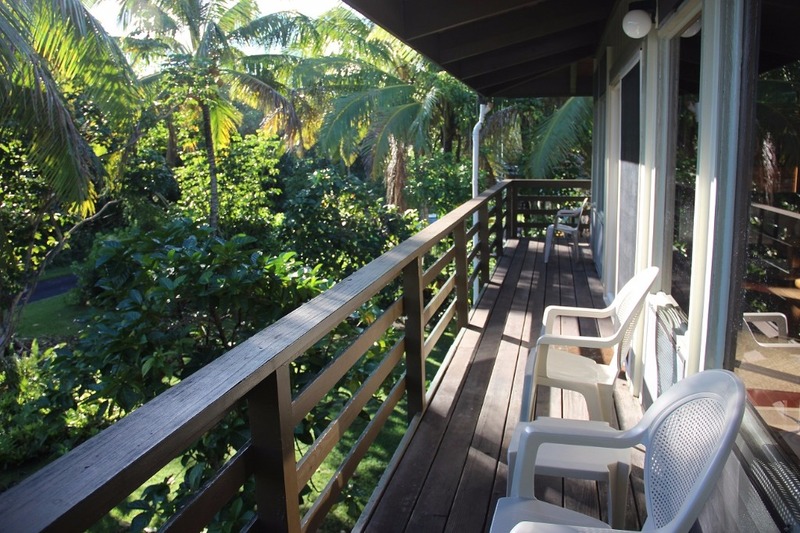 Area: Kapoho is a beautiful, peaceful and quiet place that is perfect for those who want no part of 'tourist Hawaii.' 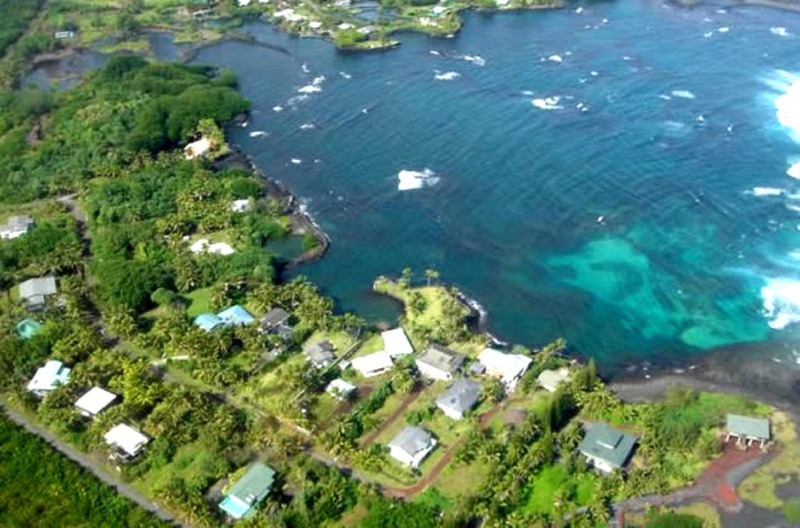 It is a small, friendly community that's also the sunniest spot on the Windward side of the Big Island. The nights bring a little rain, and the days are generally sunny and bright. 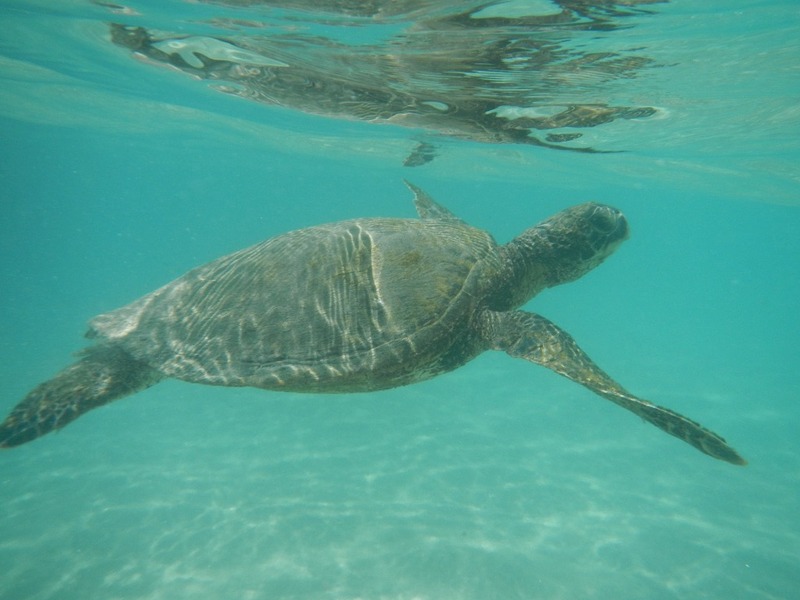 If you have already experienced 'tourist Hawaii' and are ready for something different, you will appreciate this. If you would like a taste of what it would be like to live among the folks who spend their lives here, work here, play here and raise their families here, you might find this interesting. 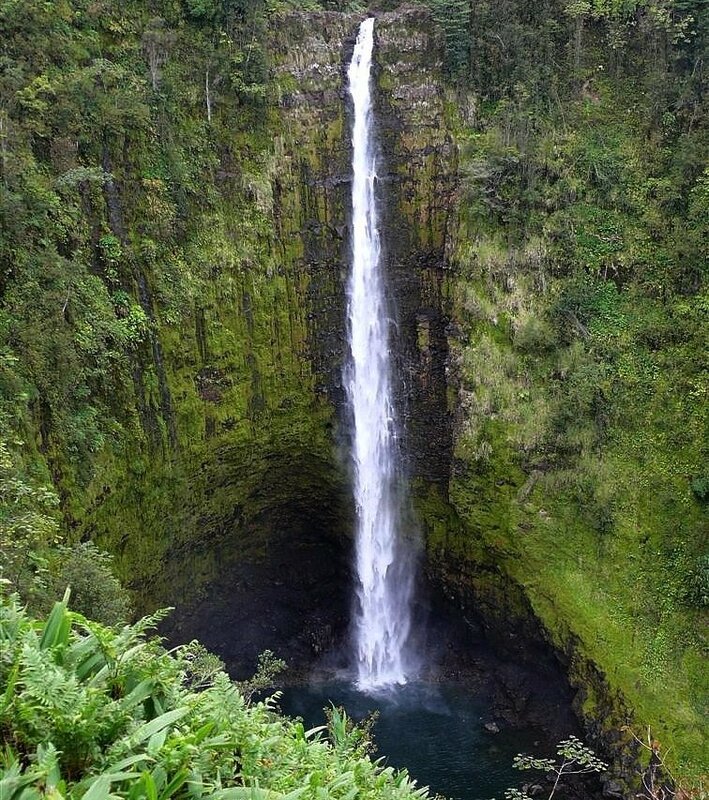 If you're into hiking, swimming, snorkeling, kayaking, exploring, or just being, you'll love it. 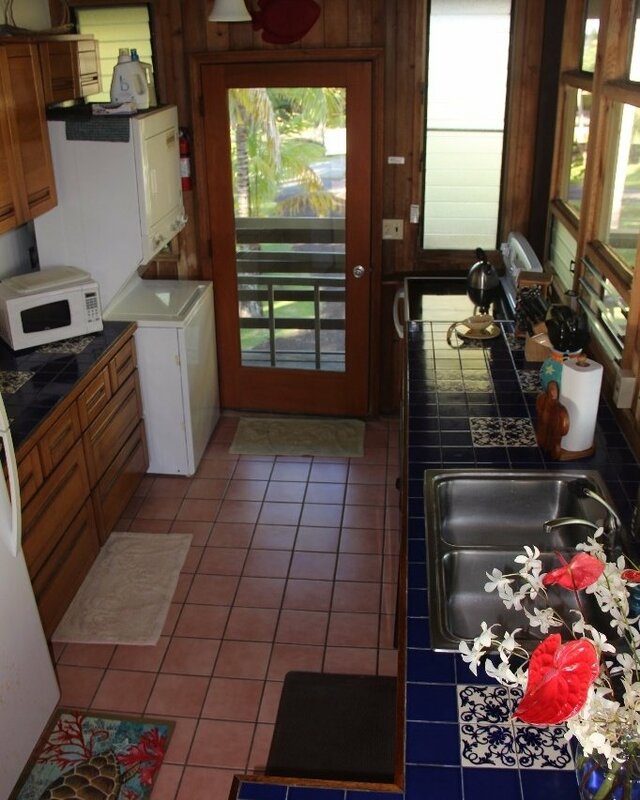 Located in the gated seaside community of Kapoho Beach Lots on the windward side of the Big Island of Hawaii. 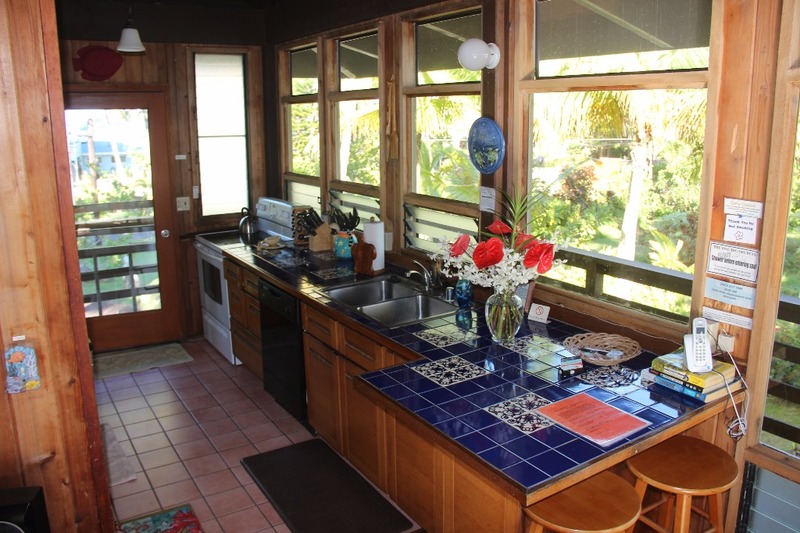 The lovely seaside community has a nice mix of vacation rental homes and full-time residents.